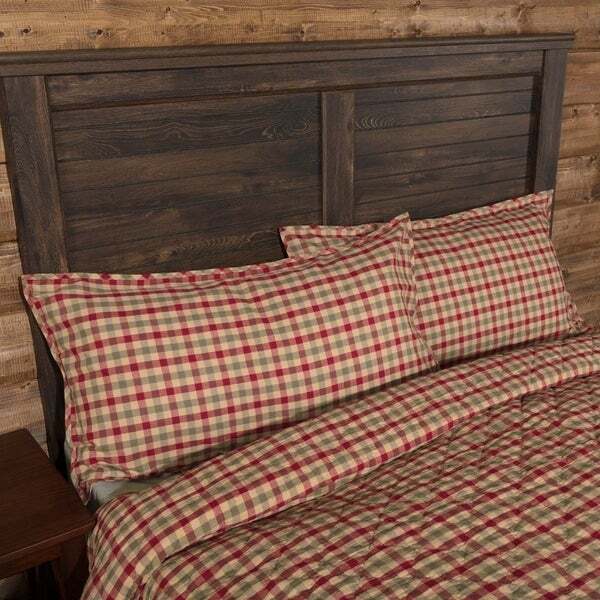 The Jonathan Plaid Sham matches the quilt with its deep red, olive green, and tan plaid. Finished with a plaid bias trim and reverses to solid red. 100% cotton.